Biometric time clocks are becoming the latest and greatest technology for tracking employee time and attendance. Not only does a biometric system allow companies to streamline the payroll process, but it also frees up the human resources department from tracking and correcting work hours logged. Before deciding biometric is for you, however, there are several decisions you will need to make. The first is, how many employees will be using the block? Some models will be less expensive than others but you need to make certain that the time clock you’re getting can handle the number of employees you have. What options do these time clocks offer for accessing and downloading the information for payroll processing? 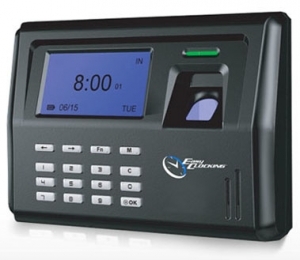 The biometric time clocks come with Ethernet, wireless or USB connections for use in downloading the data, but know there are several options available. Your IT department will be able to help you decide which is best. Are you married to the current payroll processing software that your company currently uses or are you willing to learn a new application and software? Some biometric time clocks use software that is compatible with many other payroll processing applications such as those used by ADP, Paychex and other payroll service providers. If you don’t want to change, make certain you choose a time clock that is compatible. Keep in mind though that many of the biometric time clocks come with robust and very intuitive software so if you’re making a change, why not go all the way? Many biometric time clocks use a fingerprint scanner but there are other versions that use a palm or vein scanner. You will need to decide which is best for your industry. After you’ve talked with your IT department and the human resources staff you will have a better idea of what kind of time clock will be best for your company’s use. There is no one size fits all approach when it comes to managing employees. What motivates one employee may not work on another, and while you can’t completely change your personality to suit your employees you can adopt a management style to help you deal fairly with all employees under your supervision. There are a few tips to help your employees excel in the workplace and to ensure that you are acting fairly and with their and your interest in mind. Ask your employees whether they feel they work best in collaborative settings or whether they feel they thrive in the sanctuary of their cubicles. If the later, look into allowing employees to work with headphones on so they can listen to music while they work. While many employees will push the boundaries of workplace etiquette, employees need to know they are expected to meet deadlines and perform the tasks which they have been assigned. Be sure you allow for some creativity, but hold employees accountable as well. If you find that some of your employees need hand-holding to perform, attempt to offer that. For those employees who work best on their own, leave them to their tasks. For motivated employees, going to work is more than punching a time clock, it is a place at which they hope to forge their careers. Encourage workplace interaction outside of the mandatory staff meeting times. Let employees to linger around the water cooler, be flexible on lunch times, encourage collaboration between departments. As long as it falls within the realm of what is allowed through company policy, and as long as the work gets done, let employees interact. Don’t be afraid to ask your employees for their input and their opinion. If you find you have to pass along new employee guidelines or changes in personnel regulations, don’t just drop a new manual on their desks. Take the time to explain the changes and answer their questions and concerns. Being in a management or supervisory position is both challenging and rewarding. 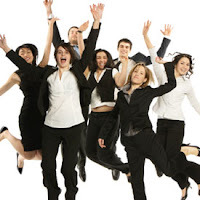 The bottom line is, however, that the key to your success is getting the best out of the employees that you manage. If you’re able to manage and motivate your team, you all thrive.